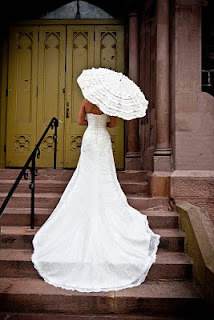 Forecast calling for showers on your wedding day? Perfect! 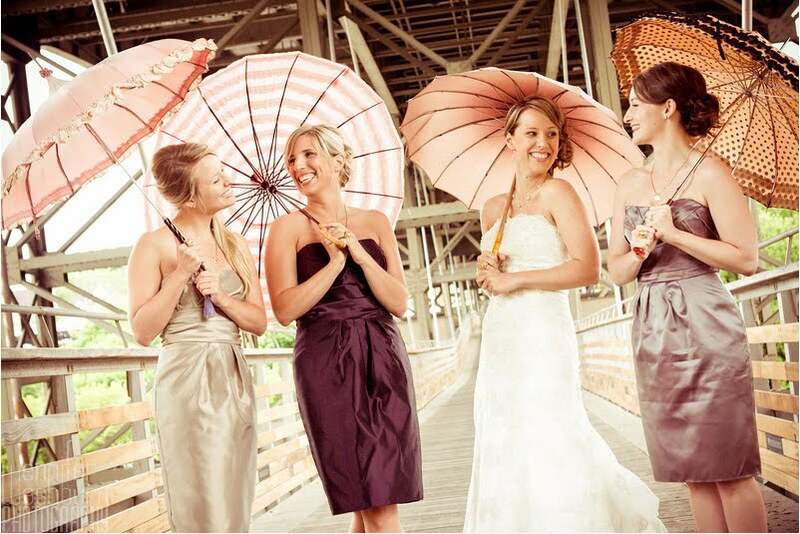 Simply outfit your bridal party with pretty parasols to stay dry and look fabulous. 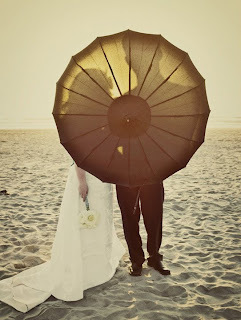 Even if rain clouds are scarce, gorgeous umbrellas make a unique bridal prop and provide stylish shade. Choose a color scheme and have each member of the bridal party carry a different shade or pattern for an interesting look. 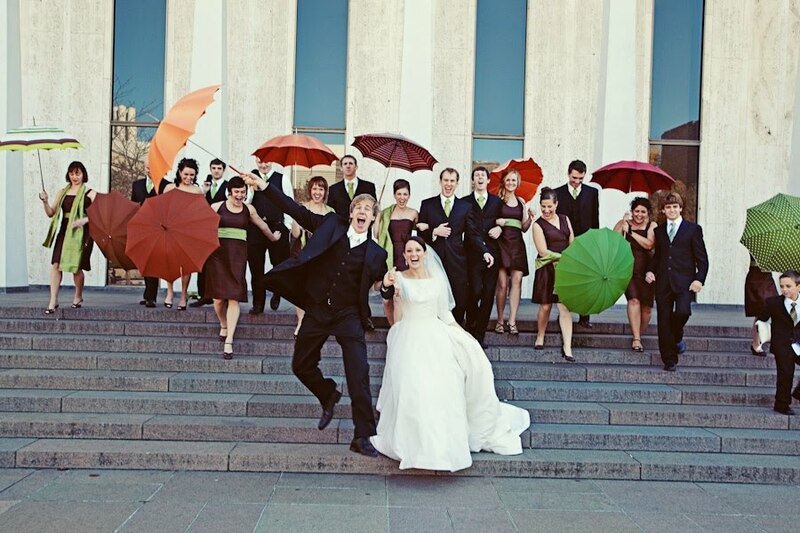 Bella Umbrella has an amazing selection of vintage umbrellas in an array of colors, shapes and patterns. The possibilities are endless, and your photographer is bound to capture some great shots, with or without the rain.